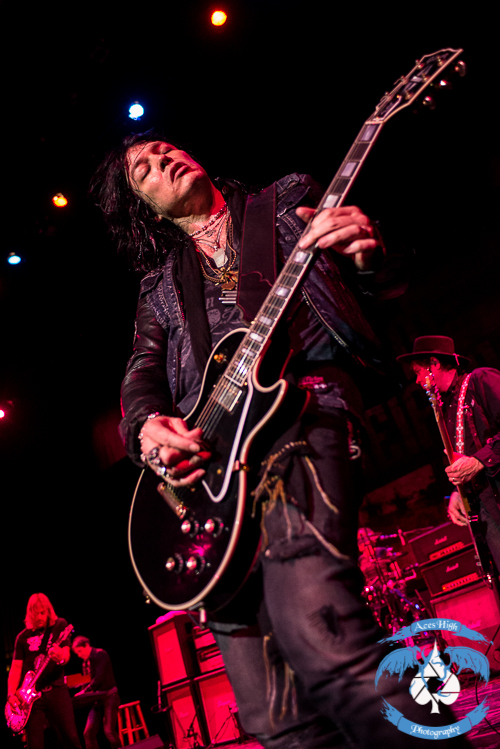 For more than three decades Tom Keifer and the 80’s powerhouse CINDERELLA have been filling the airwaves with their signature bluesy-rock n’ roll. 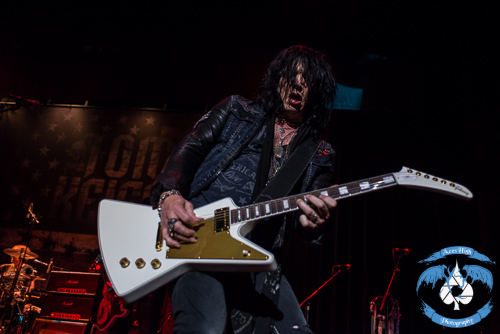 However, over the past few years CINDERELLA has been on hiatus, but that hasn’t slowed down Tom Keifer. He recently released his first solo album, The Way Life Goes and has been hitting the road to support it ever since. I had the pleasure of chatting with one of the most talented musicians to break out of the glam metal scene, as Tom discusses writing, maintaining his voice, the new material and more. KNAC.COM: You’ve been touring on and off over the last year or so to support your first solo effort The Way Life Goes. How receptive have the fans been to the new stuff? KEIFER: Oh, they’ve been really receptive, you know we’ve been touring…this is our third year of touring behind the record. We do a fair amount of the new record in the show. We do about six new songs and the rest of the show is the CINDERELLA favorites or classics or whatever you want to call it. The new material sits alongside the CINDERELLA stuff real well and gets an equal response really. So it’s been real fun to be out with some new stuff that’s being received well and the fans really seem to enjoy hearing both the old and the new. KNAC.COM: As you continue to support your solo record, do you find yourself adding more and more of the solo material into the set? 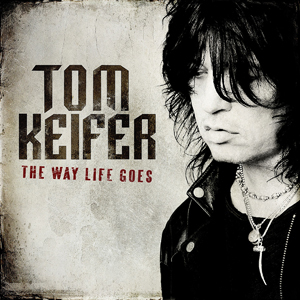 KEIFER: We’ve been doing pretty much, in the terms of the new stuff, there are five or six that we picked back when we first started touring and they really just felt it live, you know obviously some of them are the singles that we are working off the record. They are the ones that we have kept in the set because they really seem to go down and seem to be favorites and like I said, three of them have been worked as singles. They are the ones that we have kept in the show. Now, the CINDERELLA stuff we change from time to time. KNAC.COM: The Way Life Goes also features your wife Savannah as a vocalist and song writer. What was it like to work with your wife on the record? KEIFER: Yeah, and she co-produced the record too. It was great. She is an amazing singer and songwriter and producer. It was a very natural thing because we both have very similar tastes in music and we kind of write from the same place. We start from a lyric. We are very particular about how good a lyric or a subject matter is in a song before we want to start writing something. So that is important to me to work with someone who thinks that same way because when you get down to it, I think a song is about the lyrics and the melody more than anything. KNAC.COM: I saw a post on your Facebook page recently. It was a picture of a piano and an acoustic guitar. The caption had the phrase “back to writing”…are you working on new material at the moment or is it just a continued process? KEIFER: Well, you know, when I get inspired or have an idea, you know it can come at odd times during the day and I will sit down and work on something when those moments hit me. I don’t always finish a song. That’s one of the reasons Savannah and I work so well together – neither of us feel that we need to force a song. So that particular picture you are talking about, I may have sat down and worked on a verse or a chorus or something. More than likely I was hitting a wall or something – either the song gets finished that day or it doesn’t and if it doesn’t, I am happy to work on it a month later. I can’t remember the exact picture you are talking about, but yeah, I write at odd times. Some of them get finished, some of it is just a start of a song and I come back to it later. Hopefully it was a good one. (laughs) I will have to go back and look. KNAC.COM: Will it take another 10 years to release the follow-up? KEIFER: No, I don’t think it will take nearly as long. You know, I definitely want to put out some more music and I am starting to think about that again. And that is some of the things you see where I say I am writing or whatever. I am getting that inspiration. When I finish a record, I think a lot of artists would say this, you spend so long trying to get those songs right in the studio and to sound the way you hear them in your head – you need a break. So it has really been nice to be out touring and really not thinking about writing or the studio for a while. Because you get out in the world and you experience new things and new emotions and that kind of fills the well. Then the writing starts happening naturally. Starting last year that process was beginning and ideas were starting to float in my head and I am doing some demos and it is starting to happen again. KNAC.COM: I have to say that most of the better songs written by any musicians seem to be the ones that are not forced. KEIFER: Yes, I agree with that. I am an absolute supporter of not forcing songs. (laughs) Anytime I may have done it, it usually turns out to be crap. KNAC.COM: Now you’ve had a history of vocal cord issues and 6 surgeries; I wanted to ask you also, how have the vocal cords held up? Do you have any restrictions? KEIFER: I will start with the good news. The good news, this is in recent years, my voice has gotten really strong and it is as strong, if not stronger most nights than it was before I had the issue. Prior to that, there were many years where it was very up and down. The condition I have is a paralysis of my left vocal cord. That’s a neurological problem that there really isn’t a medical cure for. There’s not a surgery or a pill that can fix that and I was told in the early 90’s that I would never sing again. So the surgeries you mentioned were a result of me trying to sing with this weakness and just injuring my vocal cords, like hemorrhages and tearing them up and injuries that required surgical intervention; I call it collateral damage. But none of the surgeries addressed the root problem which is the paralysis. The only prayer of singing again with the paralysis is to work with speech pathologists and vocal coaches to try to re-train the nerve path and the muscle to respond the way it used to. You know, to kind of over-compensate for the weakness. I don’t know, it is not an exact science and I have worked with a ton of vocal coaches. It took me forever to really figure it out. And it is still – it is not cured, but I have a work out program and a therapy program to keep it in shape and as long as I do that every day, it’s about an hour and a half – even on a show day, I have got it figured out now and it works. So it took a lot of years to get there and during those years it was very up and down. To answer your question specifically, there were several tours where I was restricted on certain high notes I couldn’t hit any more, but I don’t have that issue any more and I am very grateful that I was able to overcome this. KNAC.COM: You were kind of a shy person and it wasn’t easy for you to take on the frontman role. What did it take for you to accept that role? KEIFER: Yeah…(laughs) I am still accepting it. I started off as a guitar player, but I sang too. In all of the cover bands and stuff, when I came up in the Philly – South Jersey area I mainly played guitar. I played the roll of usually lead guitarist. When the singer wanted to take a break in those situations, I’d be the guy to come up and sing a couple songs. I would sing AC/DC or RUSH, because I always had that high, upper-register scream. So anyway, when I got tired of the club scene and doing covers or playing other people’s music, I started to get out of that and started writing music and that’s when I decided – I heard a voice or a sound in my head and I didn’t know any singers that sounded like that so I started developing my voice and singing and slowing getting into those shows. CINDERELLA was the first band that I ever fronted. So, you know, it’s a learning curve and I have learned over the years. KNAC.COM: Is it true that your mother bribed you with a Gibson Les Paul to get through high school? KEIFER: That’s very true, yeah. KNAC.COM: Do you still have that guitar? KEIFER: I still have it, yep. KNAC.COM: I have to ask you about CINDERELLA’s situation – I think we are either at or approaching the 30th anniversary of the band. Has there been any dialogue with Eric and the guys? Anything on the horizon? KEIFER: No, there’s no 30th anniversary tour in the discussion. I am actually touring with my solo band next year. KNAC.COM: After 30+ years of music, touring, writing, etc, what has been your greatest achievement in your eyes? I'm not necessarily talking about charting or sales, but what was important to you. KEIFER: To me it always comes down to the songs and I am proud of the fact that the songs still hold up today. People still come out and sing the songs and I think that that’s the thing I am most proud of – the music, which is what I got into it in the first place for, so that’s what I have always put my focus on.